The other day I was surprised by that four-leaved clover in one of my flower-pots! No teasing and no glue up there! So unusual! I think the clover wanted to say "only one more" too! 6 - with SH1 one SR, joining both side to previous rings. Then 3 SR, then start another SR (part of next little daisy), with SH1 one ring joined to previous ring and to the yellow flower, then with SH1 another similar ring. With SH2 (reverse work) 2 rings. (Reverse work again) Tat the last SR of the little daisy. 7 - continue with 3 SR (with SH1), another daisy mirroring that one in pics 4&5, then four SR again. 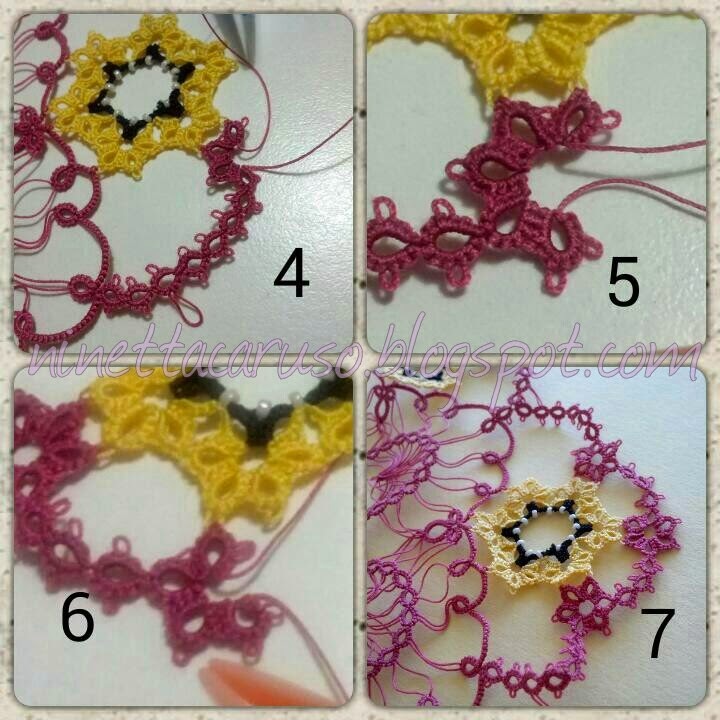 Part between yellow flowers: tat one SR with a long picot on the flipped side (the same gauge, 1/2" plastic stick used horizontally), then another SR with normal picots. 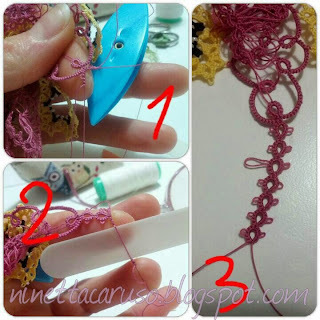 Then to connect this SR chain to previous round: one Ring, join the central picot to previous round at the base of the central ring just over the petal. Then with SH1, without reverse work, one SR joined to previous SR with normal picots and another SR joined in its not-flipped side to previous SR with the long picot. Then 4 SR more. Restart from pic 4, all around the contour. I love bookmarks ! And am wondering whether it has something to do with flowers & fruits & twigs ;-P ??? 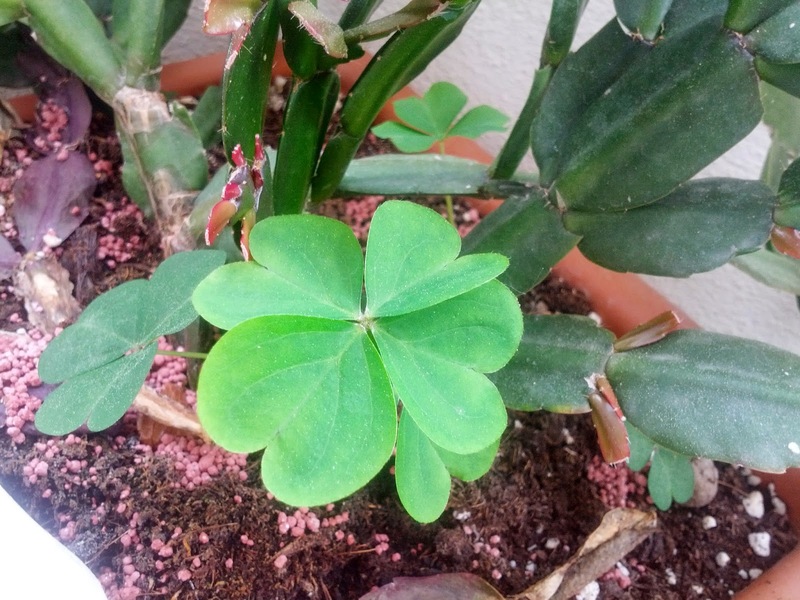 Lovely 4-leaf clover :-) I agree - some weeds are so pleasing - miniature versions of flowers & leaves .... And the dried ones are great to glue on greeting cards, etc. Waiting to see the finished picture of the doily . It looked Gorgeous in the red & white you made earlier. Hungry or Greedy ;-P ?! !